Drake stopped by the Lurie Children's Hospital of Chicago Monday to meet up with 11-year-old Sofia Sanchez - who turned 11 on Saturday. After undergoing open heart surgery earlier this month, Sanchez took park in the #KikiChallenge and recorded herself dancing to the star's hit "In My Feelings" while getting out of her wheelchair. The resulting heartfelt moment was captured by the staff at Ann & Robert H. Lurie Children's Hospital, who shared the footage on Instagram. 'Sofia was diagnosed with cardiomyopathy, a condition that often leads to heart failure and need for heart transplantation in order to survive, ' the hospital said under the clip of her performance to the Drake song. "Me and my love Sofia talking about Bieber and Owls and Basketball", he captioned a photo smiling wide next to Sofia. Three days before Sanchez' birthday in mid-August, the hospital shot a video of Sanchez doing the viral Kiki dance challenge with her cousin in the hospital hallway. 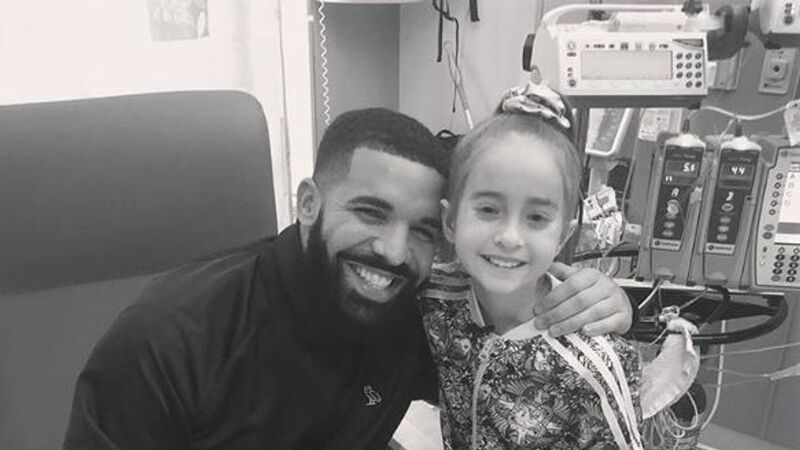 Since Drake was performing on August 18 - aka Sofia's 11th birthday - at The United Center in Chicago, it seemed like the ideal time for the two of them to meet. But she is still waiting for a new heart. She also taped a video message from her hospital bed asking Drake to visit her. In a separate video, the girl asks Drake to visit her over the weekend, as he was performing in Chicago. Each year Lurie Children's performs only four VADs. Drake, in a surprise visit, granted one of two of Sanchez's birthday wishes (the other being to receive a new heart).